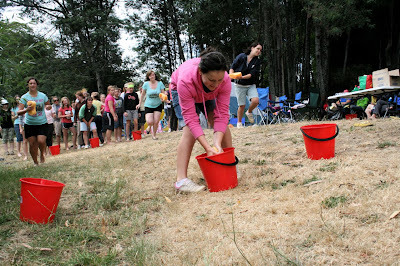 make it perfect: .36 girls + 3 days in the bush!. 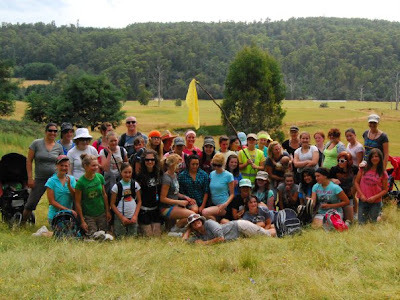 .36 girls + 3 days in the bush!. 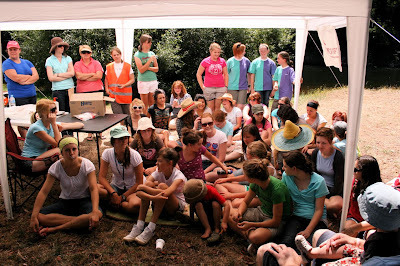 Last week I was very privileged to spend three days camping with the Young Women (girls aged between 12 and 18) in our church from the northern part of Tasmania. In our church we all have "jobs" (callings) which change from time to time. 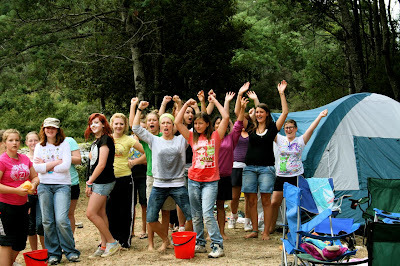 At the moment my calling is a part of the Stake Young Women Presidency and we get to do fun things like put on camps, dances, conventions and other activities for the girls. 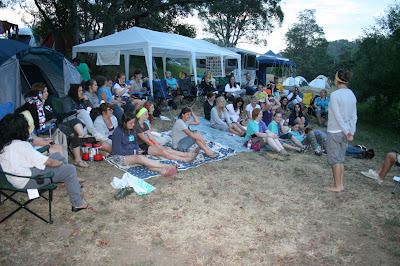 We have been planning our 2010 camp for months and it was very exciting when the time finally came. 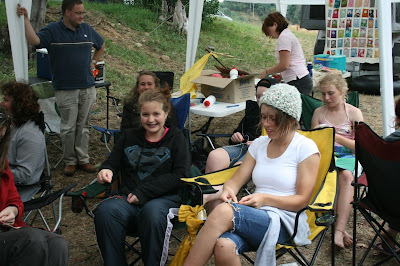 The girls haven't been "real" tent camping in years so we decided that this year we would rough it a bit and "go bush"! 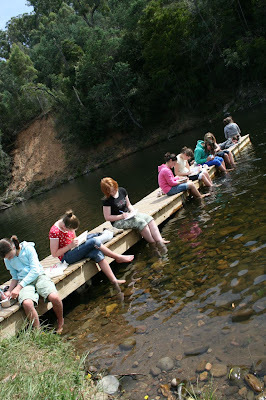 I have mentioned my Pop's river before on my blog and how beautiful it is there. 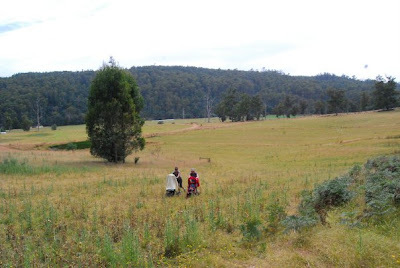 When I was in Young Womens all of our camps were held there and it is a great location to go bush camping as it isn't too far away from civilisation but isolated enough to have it all to ourselves. Lucky for us the new owners were happy for us to use the river for camp this year! The weather was stinking hot on Monday, which isn't much fun for setting up tents so after our official opening ceremony we decided to forgo our plans for the afternoon and make the most of it being warm enough to go swimming instead! One of the perks(?!) 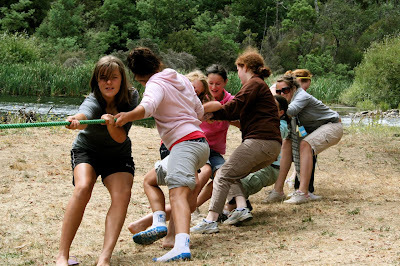 of being a leader is that the girls think they can play fun tricks on you like pulling you into the river when you least expect it (thankyou Tayla and Morgan!!) We have had some lovely warm days recently so the water temperature was really good, instead of jumping in and freezing after 10 minutes it was easy to stay swimming for half an hour or more. Since Pop sold the property, the new owners have built a jumping platform on the other side of the river. 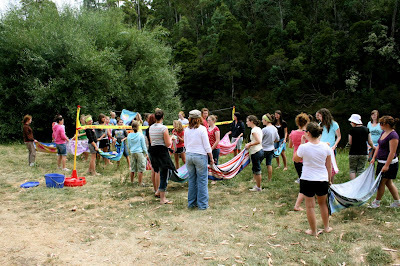 Everyone was having a great time on it jumping into the water, singing songs and playing games. The girls wanted me to jump with them so I climbed to the top and realised how high up it looked once you were up there! I was so nervous and stood there for about 10 minutes until I finally caved to the peer pressure :) and took the plunge! 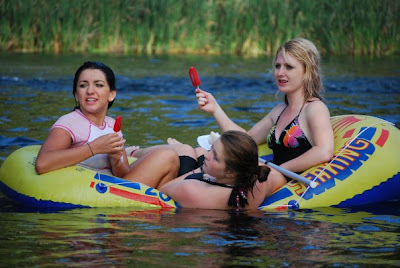 And lots of free time to go swimming, chat with friends and chill out. We finished camp with an awards ceremony where each of the girls were given an award for something that they did on camp. 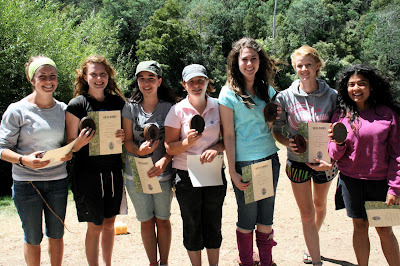 We have seven girls who are going to be turning 18 this year who earned certificates and engraved wooden boxes for completing their Camp Crafter requirements over their six camps. These girls were a lot of fun and such a great help on camp and we are going to really miss them next year! 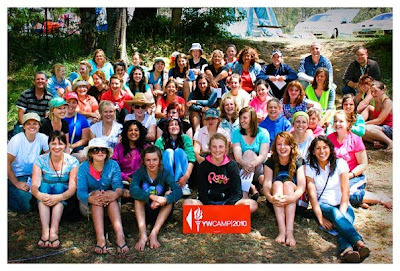 It was such a fun three days, I think everyone was happy to go home and have a hot shower and use a decent toilet but it is always sad when camp is over as the girls and leaders form such strong friendships and connections with one another. Awesome camp!! Awesome memories! Awesome girls! !Great post Tone. 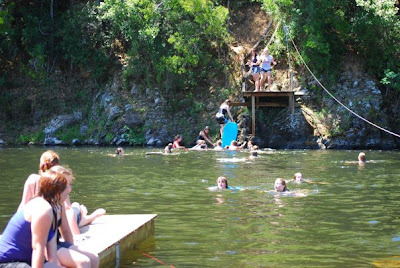 I'm pumped for camp next year already. Looks like you four did an amazing job, the YW are blessed to have you. Tommy is a trooper. 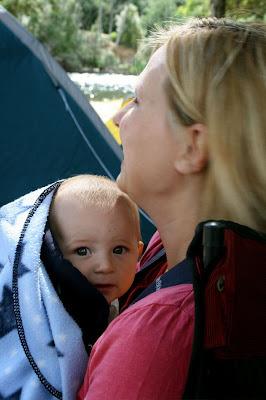 I wouldn't mind Lachie sleeping 12 hrs, maybe I should take him camping. What a HUGE three days. Great to see so many girls together and just love that pic with Tommy too. 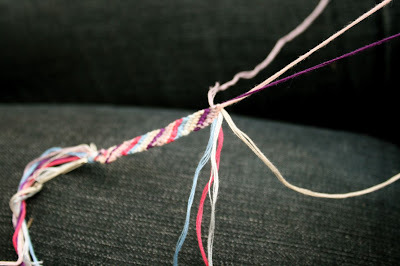 so fun... 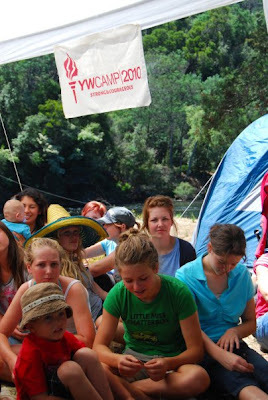 I fondly remember all the YW's camps we had there too. 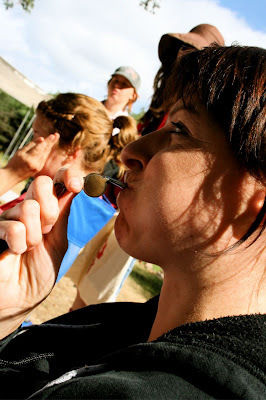 I remember Merle Challis grounding a few of us for firing water bombs at other girls one night with Pres Challis!!!! 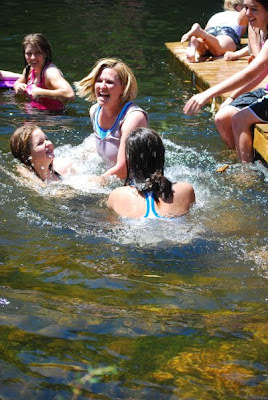 I love that pic of you being pulled into the water. I am so glad you had some nice weather. Talk about a drema baby with Tommy. What baby would do that, in a foreign bed too. 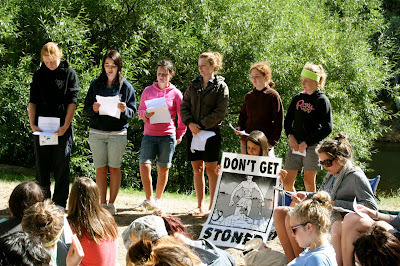 oh wow looks like a great camp and so inspiring for all those girls I'm sure! 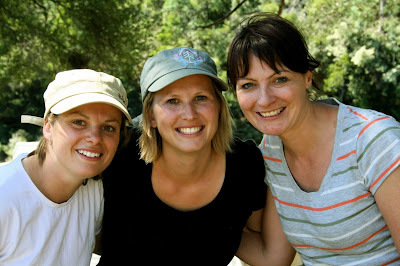 kind of like girl guides camp run by camp! our church has lots of activities for high schoolers when they start in year 7 and I can't wait till my little ones can get involved....they haven't even started school yet but I can't wait! hope you didn't need to discipline any!!!!!! I just think it's such a great way to keep them on the straight and narrow and away from bad influences that can happen to teenagers!!!! well done for fitting that camp in!